Schlossberg, S., D. I. King, S. DeStefano, and M. J. Hartley. 2018. Effects of early-successional shrubland management on breeding wood thrush populations. Journal of Wildlife Management 82. Harper, R. W., E. S. Huff, D. V. Bloniarz, S. DeStefano, and C. R. Nicolson. Characteristics of successful volunteer-led urban forest tree committees in Massachusetts. Urban Forestry and Urban Greening. Wattles, D. W., K. A. Zeller, and S. DeStefano. 2018. Range expansion in unfavorable environments through behavioral responses to microclimatic conditions: moose (Alces americanus) as the model. Mammalian Biology. Zeller, K. A., D. W. Wattles, and S. DeStefano. 2018. Incorporating road crossing data into vehicle collision risk models for moose (Alces americanus) in Massachusetts, USA. Environmental Management. DeStefano, S., and C. Boal. 2018. Perspectives and future directions. Pages 273-286 in C. Boal and C. Dykstra, Eds. Urban raptors: ecology and conservation of birds of prey in an urbanizing world. Island Press, Washington, D.C.
Bocsi, T., P. S. Warren, R. W. Harper, and S. DeStefano. 2018. Wildlife habitat management on college and university campuses. Cities and the Environment 11:http://digitalcommons.lmu.edu/cate/vol11/iss1/1. Wattles, D. W., K. A. Zeller, and S. DeStefano. 2018. Response of moose to a high-density road network. Journal of Wildlife Management. Harper, R. W., D. V. Bloniarz, S. DeStefano, and C. R. Nicolson. 2017. Urban forest management in New England: towards a contemporary understanding of tree wardens in Massachusetts communities. Arboricultural Journal 39:162-178. Faison, E. K., S. DeStefano, D. R. Foster, J. M. Rapp, and J. Compton. 2016. Multiple browsers structure tree recruitment in logged temperature forests. PLoS One https://doi.org/10.1371/journal.pone.0166783. Faison, E. K., S. DeStefano, D. R. Foster, G. Motzkin, and J. M. Rapp. 2016. Ungulate browsers promote herbaceous layer diversity in logged temperate forests. Ecology and Evolution 6:4591–4602. Faison, E. K., D. R. Foster, and S. DeStefano. 2016. Long-term deer exclusion has complex effects on a suburban forest understory. Rhodora 118:382-402. Clark, D. E., S. DeStefano, K. G. MacKenzie, K. K. G. Koenen, and J. W. Whitney. 2016. Roost site selection by ring-billed and herring gulls. Journal of Wildlife Management 80:708–719. Clark, D. E., K. K. G. Koenen, J. W. Pereira, K. G. MacKenzie, and S. DeStefano. 2016. Fidelity and persistence of ring-billed gulls (Larus delawarensis) and herring gulls (Larus argentatus) to wintering sites in Massachusetts. Waterbirds 39:220-234. Faison, E. K., S. DeStefano, D. R. Foster, and A. Barker-Plotkin. 2016. Functional response of ungulate browsers in disturbed eastern hemlock forests. Forest Ecology and Management 362:177-183. Strules, J., and S. DeStefano. 2016. Seasonal foraging responses of beavers to sodium-enhanced foods: an experimental assessment with field feeding trials. Journal of Mammalogy 97:89–101. Clark, D. E., J. W. Whitney, K. G. MacKenzie, K. K. G. Koenen, and S. DeStefano. 2015. Assessing gull abundance and food availability in urban parking lots. Human-Wildlife Interactions 9:180–190. Clark, D. E., K. G. Koenen, J. Pereira, K. MacKenzie, and S. DeStefano. 2014. Evaluation of a net launcher for capturing urban gulls. Wildlife Society Bulletin 38:605–610. Lerman, S. B., K. H. Nislow, D. J. Nowak, S. DeStefano, D. I. King, and D. T. Jones-Farrand. 2014. Using urban forest assessment tools to model bird habitat potential. Landscape and Urban Planning 122:29–40. Nishida, C., C.W. Boal, S. DeStefano, and R. G. Hobbs. 2013. Nesting habitat and productivity of Swainson's hawks in Southeastern Arizona. Journal of Raptor Research 47:377-384. Wattles, D., and S. DeStefano. 2013. Space use and movements of moose in Massachusetts: implications for conservation of large mammals in a fragmented environment. Alces 49:65–81. Wattles, D., and S. DeStefano. 2013. 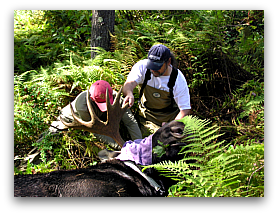 Moose habitat in Massachusetts: assessing use at the southern edge of the range. Alces 49:133–147. Clark, D. E., K. K. G. Koenen, K. G. MacKenzie, J. W. Pereira, and S. DeStefano. 2013. Stainless-steel wires exclude ring-billed gulls from a waste water treatment plant. Journal of the American Water Works Association 105:75-76. DeStefano, S. 2013. Status and potential impacts of exotic grasses and grass-like vegetation on New England wildlife. Wildlife Society Bulletin 37:486–496. DeStefano, S., K. K. G. Koenen, and J. Pereira. 2013. Common loon incubates rocks as surrogates for eggs. Northeastern Naturalist 20:143-147. Bies, L., M. Hutchins, J. Organ, and S. DeStefano. 2012. Chapter 7. The role of professional societies in connecting science and management: The Wildlife Society as an example. Pages 85-98 in J. P. Sands, S. J. DeMaso, M. J. Schnupp, and L. A. Brennan, editors. Wildlife science: connecting research with management. CRC Press: Taylor Francis Group, Boca Raton, Florida, USA. Stein A. B., T. K. Fuller, S. DeStefano, and L. L. Marker. 2011. Leopard population and home range estimates in north-central Namibia. African Journal of Ecology 49:383-387. McDonald, J. E., S. DeStefano, C. Gaughan, M. Meyer, W. A. Woytek, S. Christensen, and T. K. Fuller. 2011. Survival and harvest-related mortality of white-tailed deer in Massachusetts. Wildlife Society Bulletin 35:209–219. McCarthy, K. P., and S. DeStefano. 2011. Common loon nest defense against an American mink. Northeastern Naturalist 18:247-249. McCarthy, K. P., and S. DeStefano. 2011. Effects of spatial disturbance on common loon nest site selection and territory success. Journal of Wildlife Management 75:289-296. Mueller, T., K. A. Olson, G. Dressler, P. Leimgruber, T. K. Fuller, C. Nicolson, A. J. Novaro, M. J. Bolgeri, D. Wattles, S. DeStefano, J. M. Calabrese, and W. Fagan. 2011. How landscape dynamics link individual- to population-level movement patterns: a multispecies comparison of ungulate relocation data. Global Ecology and Biogeography 20:683–694. DeStefano, S., M. T. McGrath, S. M. Desimone, and S. K. Daw. 2006. Ecology and habitat of breeding northern goshawks in the inland Pacific Northwest: a summary of research in the 1990s. Studies in Avian Biology 31:76-85. Fayer, R., M. Santin, J. M. Trout, S. DeStefano, K. Koenen, and T. Kaur. 2006. Prevalence of Microsporidia, Cryptosporidium spp., and Giardia spp. in beavers (Castor canadensis) in Massachusetts. Journal of Zoo and Wildlife Medicine 37:492-497. Hobbs, R. J., S. DeStefano, and W. L. Halvorson. 2006. Breeding biology of red-tailed hawks in an altered desert grassland. Journal of Raptor Research 40:38-45. Rogers, A. S., S. DeStefano, and M. F. Ingraldi. 2006. Diet, prey delivery rates, and prey biomass of northern goshawks in east-central Arizona. Studies in Avian Biology 31:219-227. Desimone, S. M., and S. DeStefano. 2005. Temporal patterns of northern goshawk nest area occupancy and habitat: a retrospective analysis. J. Raptor Research 39(3):299-312. DeStefano, S. 2005. A review of the status and distribution of northern goshawks in New England. Journal of Raptor Research 39:342-350. DeStefano, S., and E. A. Johnson. 2005. Species that benefit from sprawl. Pages 206-235 in E. A. Johnson and M. W. Klemens, eds. Nature in fragments, the legacy of urban sprawl. Columbia University Press, New York, NY. Jordan, C. N., T. Kaur, K. Koenen, S. DeStefano, A. M. Zajac, and D. S. Lindsay. 2005. Prevalence of agglutinating antibodies to Toxoplasma gondii and Sarcocystis neurona in beavers (Castor canadensis) from Massachusetts. Journal of Parasitology 91:210-211. Rogers, A. S., S. DeStefano, and M. Ingraldi. 2005. Quantifying raptor diets: a comparative study between remote cameras and observation from blinds. Journal of Raptor Research 39:303-309. Webster, C. M., and S. DeStefano. 2004. Using public surveys to determine the distribution of greater roadrunners in urban and suburban Tucson, Arizona. Pages 69-77 in W. W. Shaw, L. K. Harris, and L. VanDruff, eds. Proceedings of the 4th International Symposium on Urban wildlife Conservation, Tucson, AZ. Hinojosa-Huerta, O., S. DeStefano, Y. Carrillo-Guerrero, W. W. Shaw, and C. Valdes-Casillas. 2004. Waterbird communities and associated wetlands of the Colorado River Delta, Mexico. Studies in Avian Biology 27:52-60. Franson, J. C., S. P. Hansen, T. E. Creekmore, C. J. Brand, D. C. Evers, A. E. Duerr, and S. DeStefano. 2003. Lead fishing weights and other fishing tackle in selected waterbirds. Waterbirds 26:345-352. Fuller, T. K., and S. DeStefano. 2003. Relative importance of early-successional forests and shrubland habitats to mammals in the northeastern United States. Forest Ecology and Management 185:75-79. McGrath, M. T., S. DeStefano, R. A. Riggs, L. L. Irwin, and G. J. Roloff. 2003. Spatially explicit influences on northern goshawk nesting habitat in the interior Pacific Northwest. Wildlife Monographs 154. DeStefano, S., and R. M. DeGraaf. 2003. Exploring the ecology of suburban wildlife. Frontiers in Ecology and the Environment 1:95-101. McPherson, G. M., and S. DeStefano. 2002. Applied ecology and natural resource management. Cambridge University Press, Cambridge, UK. Moloney, D., K. Wormington, and S. DeStefano. 2002. Stag retention and use by arboreal marsupials in eucalypt forests of southeast Queensland, Australia: implications for management. Pages 347-355 in W. F. Laudenslayer, Jr. et al., editors. Proceedings of the symposium on the ecology and management of dead wood in western forests. U. S. Forest Service, Albany, CA. DeStefano, S. 2002. Regional and national issues for forest wildlife research and management. Forest Science 48:181-189. DeStefano, S., and R. G. Haight, editors. 2002. Forest wildlife-habitat relationships: population and community responses to forest management. Society of American Foresters, Bethesda, MD. 276pp. Koenen, K. G., S. DeStefano, and P. R. Krausman. 2002. Using distance sampling to estimate seasonal densities of desert mule deer. Wildlife Society Bulletin 30:53-63. Daw, S. K., and S. DeStefano. 2001. Forest characteristics of northern goshawk nest stands and post-fledging areas in Oregon. Journal of Wildlife Management 65:59-65. Hinojosa-Huerta, O., S. DeStefano, and W. W. Shaw. 2001. Abundance and distribution of the Yuma clapper rail (Rallus longirostris yumanensis) in the Colorado River delta, Mexico. Journal of Arid Environments 49:171-182. DeStefano, S., and R. J. Steidl. 2001. The professional biologist and advocacy: what role do we play? Human Dimensions in Wildlife 6:11-19. Franson, J. C., S. P. Hansen, A. E. Duerr, and S. DeStefano. 2001. Size and mass of grit in gizzards of sandhill cranes, tundra swans, and mute swans. Waterbirds 24:242-244. Guthery, F. S., N. M. King, K. R. Nolte, W. P. Kuvlesky, Jr., S. DeStefano, S. A. Gall, and N. J. Silvy. 2001. Multivariate perspectives on patch use by masked bobwhites. Journal of Wildlife Management 65:118-124. DeStefano, S., S. L. Schmidt, and J. deVos. 2000. 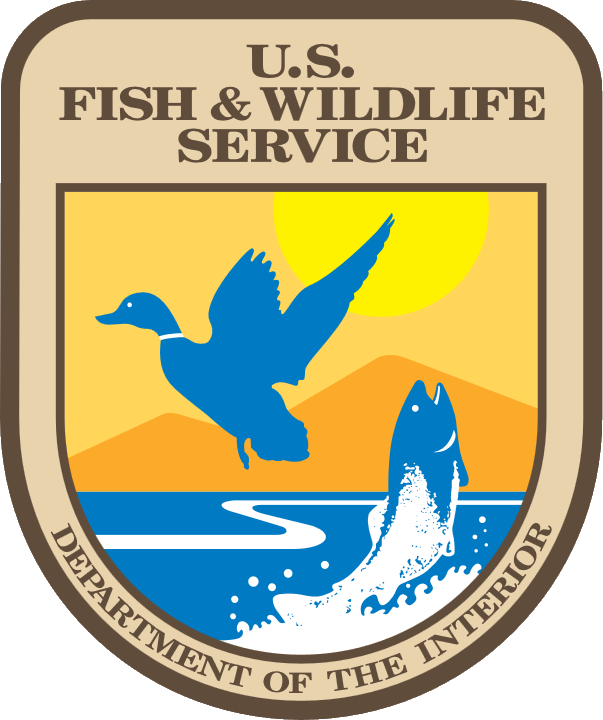 Predator activity at wildlife water developments in southern Arizona. Journal of Range Management 53:257-260. Guthery, F. S., N. M. King, K. R. Nolte, W. P. Kuvlesky, Jr., S. DeStefano, S. A. Gall, and N. J. Silvy. 2000. Comparative habitat ecology of Texas and masked bobwhites. Journal of Wildlife Management 64:407-420. Kuvlesky, W. P., Jr., S. A. Gall, S. J. Dobrott, S. Tolley, F. S. Guthery, S. DeStefano, N. King, K. R. Nolte, N. J. Silvy, J. C. Lewis, G. Gee, G. Camou-Lourdes, and R. Engel-Wilson. 2000. The status of masked bobwhite recovery in the United States and Mexico. Pages 42-57 in L. A. Brennan, W. E. Palmer, L. W. Burger, Jr., and T. L. Pruden, eds. Quail IV: Proceedings of the Fourth National Quail Symposium 4, Tall Timbers Research Station, Tallahassee, FL. Steidl, R. J., S. DeStefano, and W. J. Matter. 2000. On increasing the quality, reliability, and rigor of wildlife science. Wildlife Society Bulletin 28:518-521. Duerr, A. D., and S. DeStefano. 1999. Use of a metal detector for determining abundance of lead fishing sinkers in waterbird habitat. Wildlife Society Bulletin 27:952-958.